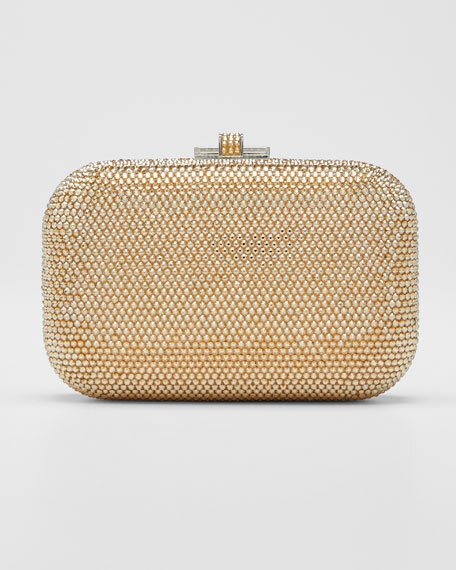 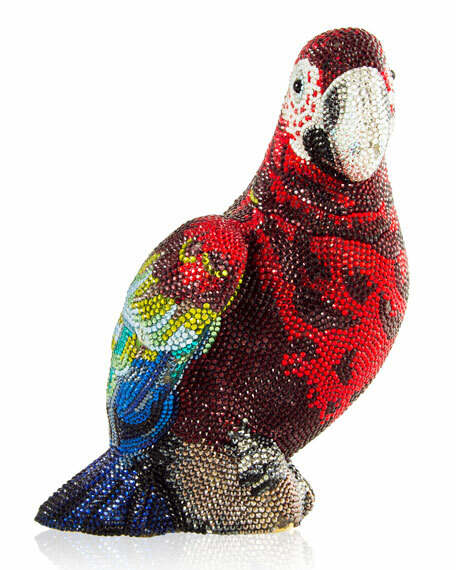 Judith Leiber Couture parrot-shaped box clutch, encrusted in Austrian crystals. 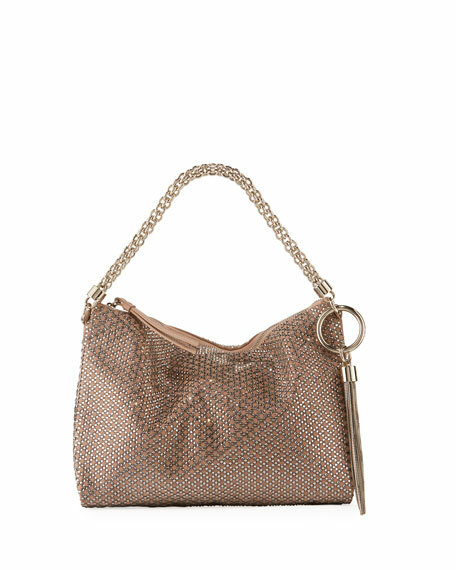 Chain shoulder strap may be tucked inside. 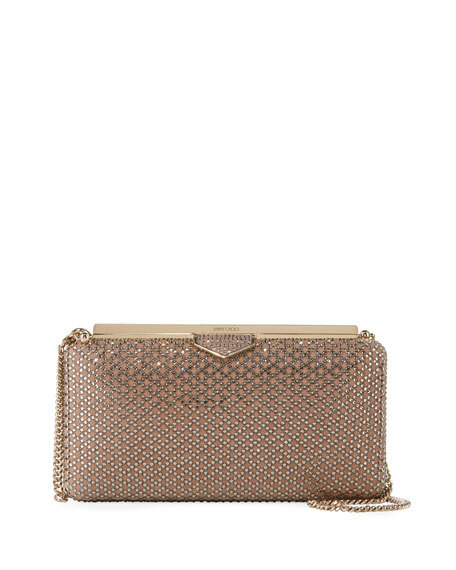 4.4"H x 6.4"W x 3.5"D.
For in-store inquiries, use sku #2470513.